Package including 4pcs knitting needles. These needles are made of bamboo, hard and strong, not easy to bend or break, thus you can use them for a long time. This kind of bamboo needles is very necessary to housewives, with these needles, you can knit different items, such as socks and hats. These knitting needles range in size from 5mm to 12mm. The size of the needles is marked on the body of needle as shown in the photos. The surface of this needles is very smooth, thus will not hurt your hand. Available Needle Dia: 5mm/0.2 Inch, 5.5mm/0.22 Inch, 6mm/0. 24 Inch, 6.5mm/0.26 Inch, 7mm/0.28 Inch, 7.5mm/0.3 Inch, 8mm/0.31 Inch, 9mm/0.35 Inch, 10mm/0.4 Inch, 12mm/0.5 Inch. 1. The colors may have different as the difference display, please understand. 2. Due to manual measurement, there has 0.3-1mm error of needle diameter, and 5mm-1cm error of needle length. Please make sure you do not mind before you bid. Fine workmanship, the needle body smooth, feel good. Hat, socks knitting tools, circular bamboo needles. 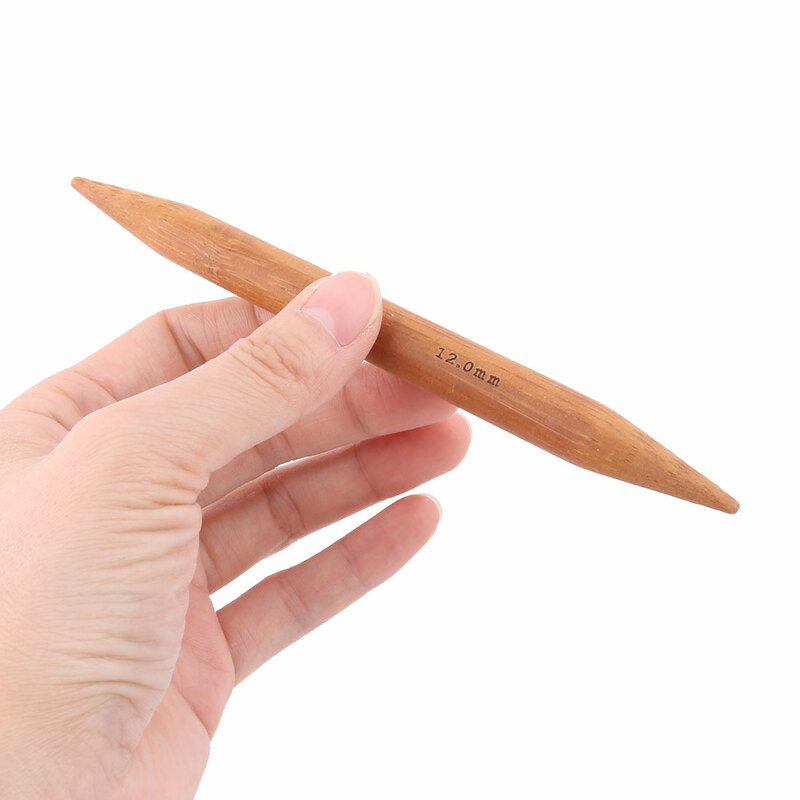 Smooth feel and unlike steel or aluminum knitting needles, they are made from high quality bamboo, making them eco-friendly. Great knitting kits for beginners knitter, great gift idea for Christmas, birthday or any other situations. Various needle diameter for your different choices.